Use your FEET to help our FINNED and FLIPPERED friends! Join runners, walkers, and animal-lovers for the Feet, Fins, & Flippers 5K to raise money for the National Marine Life Center! Run, walk, roll, stroll, flip, skip, from near and afar - join us! This is a fun, family oriented, pet-friendly event. Event proceeds directly benefit NMLCs marine animal rehabilitation, science, and education programs. The race begins at the Cape Cod Canal Railroad Bridge, at the west end of Main Street, next to Buzzards Bay Park and the train station. The flat, scenic course travels down and back along the beautiful Cape Cod Canal. Ample parking is available. There will be a water station along the route accessible in both directions. Click here for a map of the route. Prizes will be awarded to the overall male and female winners. Prizes will also be awarded to male and female winners in each of the following six age groups. The race begins at the Cape Cod Canal Railroad Bridge next to Buzzards Bay Village Park at the west end of Main Street. 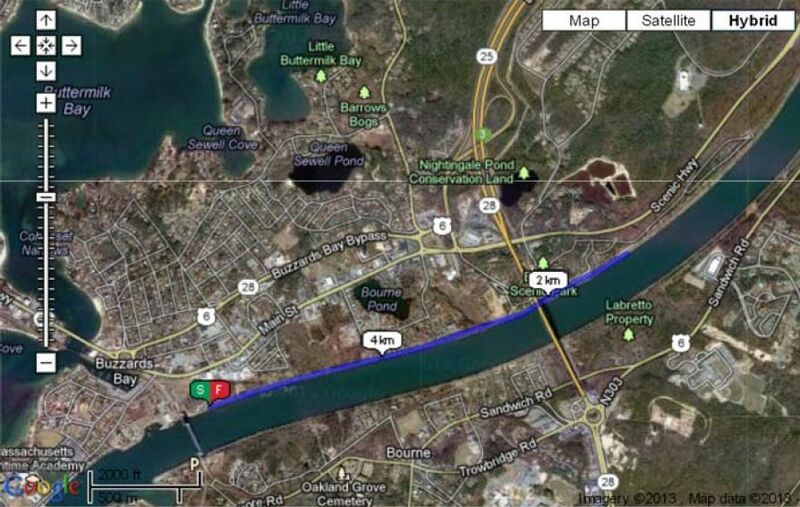 The flat, scenic course travels down and back along the beautiful Cape Cod Canal.